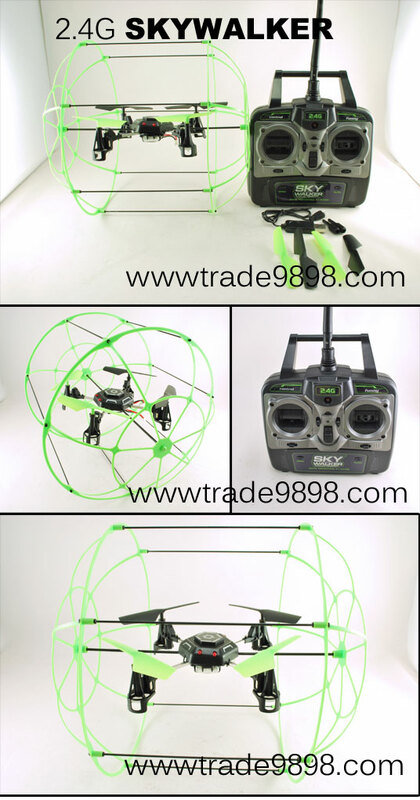 The is the latest Quadcopter equiped with aerody-namic E.T.F Technology and controlled by 2.4G radio control. The Skywalker is easy to flyand has impact shielding rendering it crash resistant. The skywalker can take up on any surface and has an auto-upright design for easy crash recovery. Click the button below to add the 2.4G SKY WALKER Quadcopter Aerocraft to your wish list.